Management Committee – Naturaliste University of the Third Age Inc. I retired to Busselton in 2011 and right from the start felt at home here. I grew up in Donnybrook and we spent numerous holidays at the beaches in this area. I never cease to be amazed at how many people I meet here that also come from Donnybrook! However, I lived much of my life Perth, knowing that at some time I really wanted to move away from there and get back to the country. I am lucky to have a son, daughter-in-law and two lovely grand-daughters living here, and my daughter and her husband live in Byford. I feel very passionate about the concept of ‘life-long learning’, having spent much of my working life teaching in one way or another – a class teacher in both primary and secondary schools, state and private, working for myself as an Education Consultant and Tutor focusing on students with special needs. I am also an Art Therapist. The last 3 years before retiring I went back into the Education Department to take a teaching position at the Yandeyarra Remote Community School in the Pilbara. What a great experience! I joined Naturaliste U3A in 2012 and enjoy running courses and being on the Committee. The latter, especially being President, has been quite a learning curve for me and I appreciate the support given by the other Committee members. How nice it is to go into town and always get friendly smiles from other Nat U3A-ers who visit the same coffee shops! A city boy from Rivervale bred to be a jockey! Frustrated from a career in science due to a lack of chemistry. Forced to choose teaching over surveying as bonded teachers had their Uni fees paid. Harvey first posting as a residential housemaster at Agricultural wing. Taught Animal Husbandry, Crop production, Farm Bookkeeping, Irrigation as well as Science, Maths, English and Social Studies, usually one page ahead of students! Met wonderful Wendy, married in ‘67, three children, Sonia, Kim, Carolyn; five grandchildren.To Belmont SHS chasing promotion then Mt Lawley SHS and City Beach SHS as Senior Master of English. One year teacher exchange to England and one year Research Branch in Silver City, implementing “Beazley Report” Literacy recommendations. Deputy Principal Denmark DHS, Deputy Busselton SHS (86), met the amazing McDonalds who contributed sooo much to Busselton SHS; Acting Principal for two years. Past President of Rotary Club of Geographe Bay, Past Commodore of Geographe Bay Yacht Club, Past President Geographe Over 50 Cycle club, unaware of the looming GFC of 2008 retired at 60. 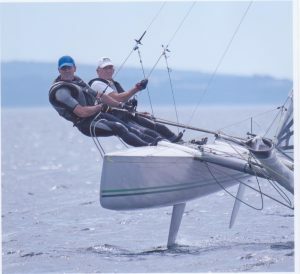 A lover of learning, still teaching sailing, disability sailing and for U3A ,“Into Poetry” and “Into Drama”. 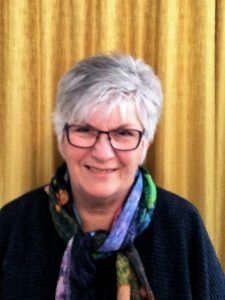 Lorraine joined the Committee in 2016 and has led courses in blogging and retirement issues. 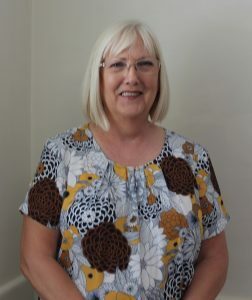 Lorraine has qualifications in Management and Professional Writing and a background in the State Public Sector mainly working in Employment, Education and Training Departments plus a final stint at the Department for Communities. She is particularly interested in helping people overcome issues related to the transition to retirement. 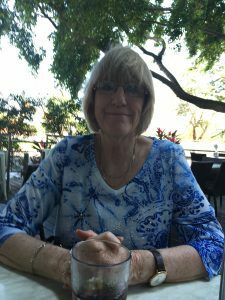 Lorraine is married to Tom and they retired to Novacare Lifestyle Village in Broadwater in 2010 after many years living in Perth. Christopher Masterman was born in South London, England in 1942. His father was serving abroad with the British Royal Air Force (RAF) at the time and the two did not meet until 1945. Later he lived with his parents in Japan, Singapore and Czechoslovakia. Christopher also joined the RAF where, with an MSc in aerospace technology, he served for 16 years as an Engineering Officer; at one time he was Prince Charles’s personal aircraft engineer. After leaving the RAF he worked for the European Space Agency in Austria before moving with his family to Canada where he joined a major aircraft manufacturing company where he rose to be an executive. In 1992 this company moved him back to the United Kingdom where he eventually retired after which he returned to Canada to be near to his children living in Vancouver. On marriage to Elizabeth in 2006 he moved to Australia where he passes his time restoring classic cars and writing books; his fifth, ’Secrets From Norway’, has just been published. 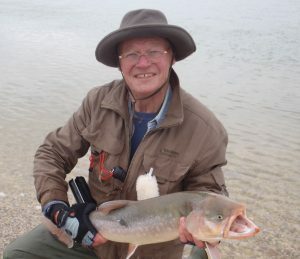 He is also a very keen sports fisherman. Don was born in Swansea, South Wales, UK just after the second world war. Stepping at an early age onto the relentless UK educational conveyor belt in 1951, 20 years later he fell off the end with a first class honours degree in pure mathematics from the University of Wales and a Ph.D. in pure mathematics from the University of Birmingham, England. Teaching and research positions followed at the University of Kansas, University of Texas at Austin, University of Wales, Aberystwyth and finally Monash University in Melbourne, the job which initially brought him to Australia in 1975. After 3 years there, he decided that he preferred to retain his health rather than battle with the stress of advanced mathematical research in a highly competitive field. The fact that he wasn’t really equipped to compete with the world’s best mathematicians might also have influenced that decision. He wandered into the technical IT space and worked for the ANZ Bank IT department in Melbourne in the mid 1980s. In 1987 he moved to Perth with his young family, working for the University of WA on a large IBM mainframe project for the Health Dept of WA which serviced most of WA’s hospitals. A few years later he was working as an independent IT consultant in the technical space and subsequently contributed for almost 30 years to major projects in Perth for multiple clients. These included government departments such as WA Health, Dept of Transport, Dept of Planning, Insurance Commission of WA, GESB, Regional Development and Lands, Dept of Education, DOCEP, Dept of Finance and Treasury and corporate clients such as Alcoa, Bunnings, Bankwest, Rio Tinto, Computer Science Corporation, St John of God Hospital, Fujitsu, Navitas, Curtin University and ECU Joondalup. 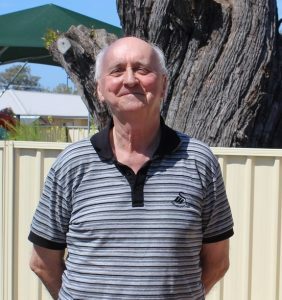 In 2016 he and his wife Deirdre moved to Busselton, happily coinciding with their retirement. Don’s main hobbies these days are going on long walks up and down the coast, playing his six guitars (one at a time) and tinkering with a diverse collection of personal computers. I am a wife, mother of five and Granny to 10 children. We have lived and worked in various towns in the South-west, including Williams, Donnybrook, Harvey and Walpole. I have always had a love of gardening and one of my favourite jobs was when we were living in Harvey and I was the Shire’s Horticulturalist. We retired to Busselton about 10 years ago and during that time I have been a volunteer in a number of places. Three years ago, I found and joined Naturaliste U3A. WOW, what a joy! The courses available were truly amazing. Creative, informative, fun and friendly. Being a member has given me a sense of belonging and community, not only from the U3A members but also the staff and members of The People Place, where many of our courses are held. I am looking forward to being part of the Naturaliste U3A Committee. After a working life in spent in Finance in South London, England my husband and I retired nine years ago to Busselton and a more gentile life by the sea. Before retirement I was fortunate enough to be elected Staff Governor of Croydon College, the third largest TAFE in the UK. This gave me an insight into ensuring strategies, policies and procedure were compliant with the legislation of the day. 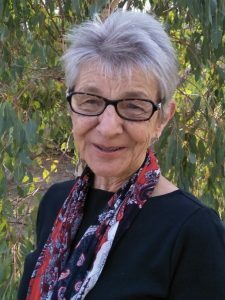 Since retiring here I have been involved in voluntary work, previously being on both the Festival of Busselton Committee and a Member of the Geographe Catchment Council. These activities have allowed me to get to know many organisations, groups and individuals in Busselton and the surrounding area. I have been a member of Naturaliste U3A since 2010, participating in many courses over the years and am most grateful to our amazing Tutors. I originally came out from Scotland in 1988 with my sons. I had a career in the Australian Taxation Office for 23 years, in senior management, specialising in HR, training, recruitment and performance management. After retirement, I got the mad idea of returning to Scotland and lasted six years before realising it was not one of my better ideas! I returned late last year. I have a son here in Busselton, who is a GP and encouraged me to look to settle here. I rather suspect grandchildren – sitting was high on his agenda! I have three, a boy of 10 and twins of 8. I started up a very successful Meet Up group in my Scottish home town, for over 55’s and loved seeing so many people come together, making friends and socialising. I quickly discovered there is no need for me to start another group here, there are so many avenues here for making friends, but being a bossy, organising sort, thought, well, get yourself on a committee, Elaine! Which leads me to U3A….